David Piachaud, Emeritus Professor of Social Policy at the London School of Economics, last November put forward a four-pronged case against basic income – on the grounds of justice, simplicity, economic efficiency and political feasibility. While the argument, I believe, fails on all four counts, I’ll here focus on the justice argument. 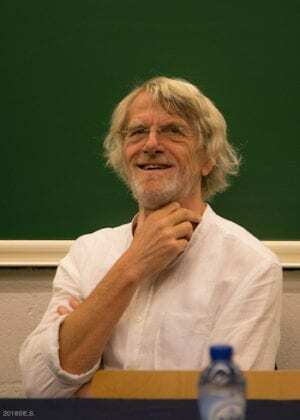 To summarize, Piachaud outlines Philippe van Parijs’ famous argument for basic income from his 1991 paper “Why Surfers Should be Fed: The Liberal Case for an Unconditional Basic Income” and claims that the fatal flaw of van Parijs’ argument is that he does not take into account a crucial distinction between the voluntarily and involuntarily unemployed.1 The former value their leisure, it is posited, at least as much as the lowest wage paid to their employed counterparts. In this way, only redistribution of income to the involuntarily unemployed can be justified on Rawlsian grounds. Unfortunately, Piachaud overlooks or underestimates van Parijs’ lucid explanation of why both are entitled to the basic income. In what follows, I’ll try to show why van Parijs’ argument is unaffected by Piachaud’s critique. Both van Parijs and Piachaud begin their arguments from the Difference Principle – a key concept in political philosophy since its first presentation in John Rawls’ seminal A Theory of Justice in 1971. Briefly, the Difference Principle states that social and economic inequalities (or inequalities in terms of “primary goods”) are justified only insofar as they benefit the least advantaged. The most important consequence of this principle, on Rawls’ account, is that it justifies inequality in wages to the extent that offering higher wages for valuable work, or steep rewards for successful innovation, incentivises the types of behaviour that generate economic growth and thereby increase the standard of living for all. This basically gets us to the social welfare system as we (aspire to) have it now: public funds are used to support the least advantaged, who are those who cannot find employment, whether due to incapacity or a lack of jobs. To ensure this support only goes to those who are the least advantaged, conditions and testing are applied – recipients of benefits must prove that they cannot work or that they are actively looking for work. And while basic income advocates often point to the inefficient costs associated with conditionality, such that it may be better for everyone if we just accept and absorb the cost of free-riders, van Parijs points out that people are likely to be willing to forgo efficiency gains to preserve their view of fairness. That is, if we are to gain the requisite political support, we must show that basic income is not merely efficient but also just and fair on a reasonably intuitive view of fairness. Twenty years after Rawls introduced the Difference Principle, van Parijs took this idea and extended it. While most of us basic income advocates aren’t primarily motivated by concern for surfers who can’t possibly take a 9-to-5 job because it wouldn’t leave them adequate time to catch the perfect, most righteous wave, van Parijs’ strategy is strong. If it can be shown that even surfers – capable but unwilling to work – deserve a basic income sufficient to live on, it would seem to follow that everyone else does, too. How, then, does van Parijs get from Rawls’ support for conditional income support to the full, universal, unconditional basic income that would be paid even to the surfer? Is Leisure Time a Resource? Van Parijs argues that it is in fact unfair to treat leisure time as a primary good. As a liberal theory of justice – that is, a theory that is neutral regarding what constitutes a “good life” – the Difference Principle should not favour those who prefer working over those with other values. This means that, while we might say that people have to work to pay their own way on the grounds of justice, we can’t say people should work simply because hard work and self-denial is virtuous. Van Parijs shows, by means of a thought experiment, that such discrimination is the result if we follow Rawls and treat the value of leisure time as equivalent to the wage one could earn in the same time if one were working. This thought experiment involves examining what the consequences of the approach would be in the case of an “exogenous windfall”, such as the state discovering valuable oil and gas reserves off its coast. In the case of such a windfall, the incomes of those who are working or deemed deserving of income support would (ideally3) increase, but the surfer’s set of primary goods would stay the same (i.e., he would have his day of leisure and empty pockets both before and after the windfall). 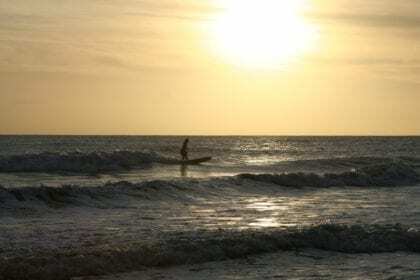 The surfer is thus excluded from the benefits of the windfall – to which he is equally prima facie entitled as a citizen of the state – simply because his leisure time is deemed to be equivalent to the wage earned in a standard working day. Here Piachaud enters the fray, defending Rawls’ suggestion that the voluntarily unemployed must value their leisure at least as much as the wages they forgo. If the surfer continues to shirk employment at the new, higher wage permitted by the exogenous windfall, the argument goes, it must be because the value of his leisure, to him, was all along at least equivalent to the new higher wage. In this way, the surfer’s share of primary goods continues to be at least equivalent to that of the least advantaged worker. Let’s illustrate the surfer’s evaluation of his leisure time with a more concrete example. Say I *love* lager. If you hand me a glass of the finest champagne at a party, I’ll hand it back and say “thanks, but please, give me a bottle of lager instead”. If it happened that it was incredibly expensive to make lager, such that one bottle cost $100, I would still buy cases, forgoing many other pleasures. That I live in a world where lager is pretty cheap is lucky for me. But should I be charged more so that the price I pay better reflects its value to me personally? No – that would be unfeasible (how, exactly, would vendors measure each customer’s preferences to ensure they were charging the right price?) and nonsensical (by the same logic, I could pay $5 for the champagne since I only get $5 of enjoyment from it, despite its massively higher market price). Returning, then, to the distinction between the voluntarily and involuntarily unemployed, van Parijs argues that it is welfarist – that is, mistakenly pursuing equality of welfare rather than equality of resources – to apply willingness-to-work conditions to the basic income. This approach “charges” for leisure time based on whether the able-bodied potential worker enjoys the time off or not (as clumsily measured by Jobcentre assessments of employment search efforts). As we’ve outlined here, the correct price to “charge” for leisure time is its cost to others – the worth of what others might have to give up for us to have that leisure time. Doesn’t a basic income immediately violate this principle, requiring the rest of society to hand over a portion of their earnings to the voluntarily unemployed? Van Parijs says it does not, because the basic income, fundamentally, is just the individual’s share of the world’s resources he was entitled to from the start, by virtue of being a person. It should be noted that van Parijs does distinguish between voluntary and involuntary unemployment in a way that affects the level of the basic income. Piachaud and van Parijs both agree that, where there is involuntary employment (i.e. not enough jobs to go around), there are employment rents that are properly subject to redistribution. That is, in a perfectly competitive, idealised labour market – where everyone has access to all relevant information, there are no geographical limitations to what jobs an individual can apply for, and there are no costs associated with hiring and firing, or regulations like minimum wage – supply and demand would balance. Workers’ wages would simply be the actual market price of their labour, and there would be no unemployment attributable to lack of jobs. By contrast, in any real labour market there is friction – due to imperfect access to information, geographical limitations, hiring and firing costs, and regulations – which means that many workers are paid more than would be necessary in a perfect market for their labour, and many eager potential workers are left without a job. In this way, on van Parijs’ account, the level of the basic income can rise and fall in accordance with the level of employment rents in a labour market. As another way of understanding this point, van Parijs suggests that we think of jobs as resources in themselves (though Piachaud does not seem to entertain this line of reasoning). Perhaps the classic way of thinking of a job is as labour one expends in exchange for resources (a wage). Yet we know that jobs are much more than that – many jobs have value beyond the wage earned, whether in terms of meaning, enjoyment, community, status, etc. This is part of the reason why one might not value the increase in leisure time afforded by unemployment: even where conditional unemployment benefits are generous, most people still prefer work. Since available employment is limited due to the market inefficiencies outlined above, the surfers are doing the aspiring workers a favour, correctly assigning themselves to the ranks of the unemployed so that more jobs are available for those who want them. Arguments about distributive justice like these, that drill down to the fundamentals of the way our economies and societies work, are necessarily abstract. It’s therefore important to be wary of directly inferring real-world policy from such idealised thought experiments. Nevertheless, amidst the complexity of our modern interlocking economic systems, the core argument – that everyone is entitled to their share of the world’s natural resources – is a guiding light. David Piachaud, “Citizen’s Income: Rights and Wrongs,” Centre for Analysis of Social Exclusion, LSE, November, 2016. Hilde Latour, “UNITED KINGDOM: David Piachaud Calls Basic Income a Wasteful Distraction from Other Methods of Tackling Poverty,” Basic Income News, February 9, 2017. Philippe van Parijs, “Why Surfers Should be Fed: The Liberal Case for an Unconditional Basic Income,” Philosophy and Public Affairs, 1991. 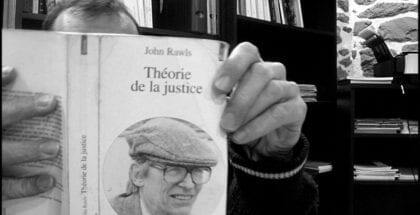 John Rawls, “A Theory of Justice,” Harvard University Press, 1971. John Rawls, “The Priority of the Right and Ideas of the Good,” Philosophy and Public Affairs, 1988. Ronald Dworkin, “What is Equality? Part 1: Equality of Welfare,” Philosophy and Public Affairs, 1981. Ronald Dworkin, “What is Equality? Part 2: Equality of Resources,” Philosophy and Public Affairs, 1981. Ronald Dworkin, “Sovereign Virtue Revisited,” Ethics, 2002. 1. A parallel argument, unexplored here, would address the important question of whether employment is voluntary or involuntary. 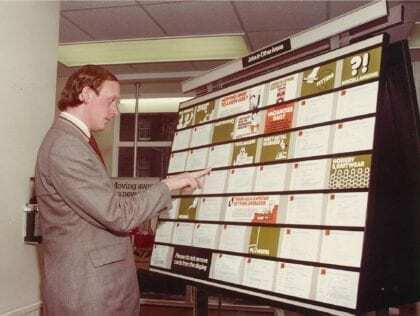 Under most of today’s welfare systems for able-bodied adults, conditionality and sanctions are used to “incentivise” recipients to take up any job available. This threat of destitution has moral implications, in that it calls into question the consensuality of such employment. 3. At present, incomes generated from natural resources are directly distributed to citizens in only a handful of cases (the Alaska Permanent Fund and Norway oil fund spring to mind). More commonly, states channel incomes from natural resources into the general budget, or such natural resources pass into the realm of private property. While arguments can be had regarding direct versus indirect distribution – whether each citizen gets their share of the windfall directly, or instead indirectly through government spending – that all citizens should benefit in some way seems uncontroversial. 5. For a quick run-down of the problems with equality of welfare, see this summary from the Stanford Encyclopaedia of Philosophy.